I may have been one of the only kids in the world that would not only eat Brussels sprouts, but I would ask for them. I am pretty sure marinated brussels sprouts is the first recipe I asked my Mom for when I had a place of my own. I absolutely love these. And they are perfect for the summer. 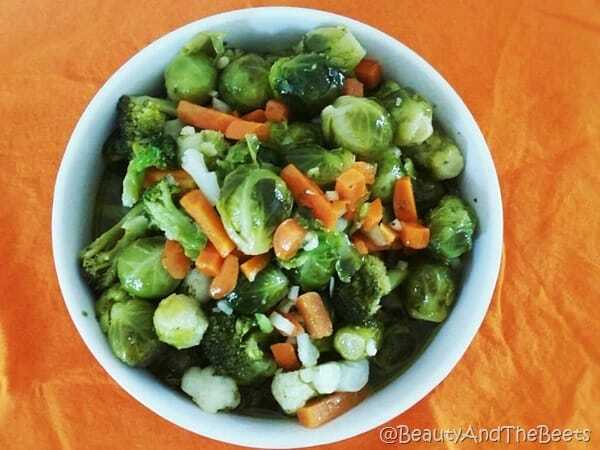 This is the dish growing up that started my love for Brussels sprouts and now I eat them at least twice a week. 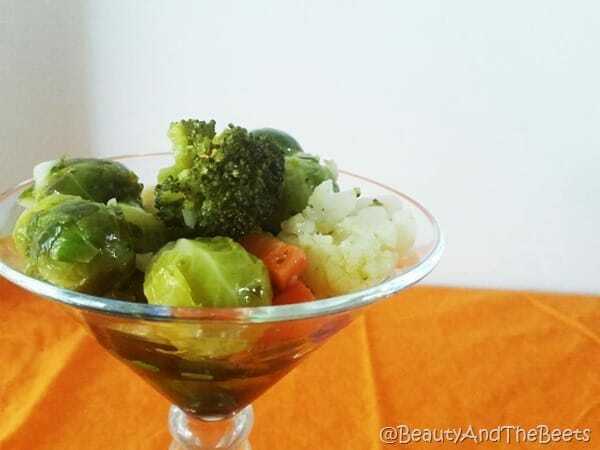 I should really contemplate changing the name of the blog to Beauty and the Sprouts. My Mom would marinate Brussels sprouts for Thanksgiving, my birthday and pretty much all summer. Even as adults, this was one of the most requested dishes when we would gather at Thanksgiving. Well, these and green bean casserole with tons of bacon, but that’s for another post. The original marinated sprouts recipe that was passed down to me listed vegetable oil as one of the ingredients in the marinade, and while I have made them exactly as the recipe stated in the past, this time I decided to change them up slightly for the summer months ahead. I swapped out the vegetable oil for pure extra-virgin olive oil and while it did not affect the flavor significantly, it did really lighten up the overall dish. I also added some broccoli, carrots and cauliflower for a little variety. I promise you, you have never had Brussels sprouts like this. After you cook the veggies (right from a frozen bag), they marinate in a tarragon vinegar marinade. The longer they marinate, the better the flavor. And they are portable – picnic, potluck, party- where ever, they don’t need to be re-cooked or kept warm. I stash these in the fridge and graze on them throughout the week, though they only last a few days in my house. I am addicted. Cook the Brussels sprouts and veggies according to package directions, drain well. Mix the remaining ingredients together to create the marinade. 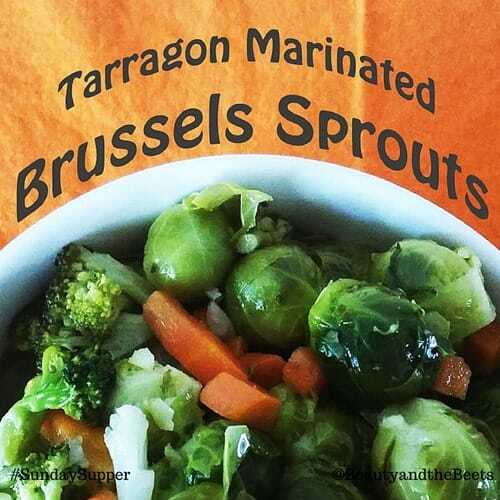 Add the cooked Brussels sprouts and veggies to the marinade and let sit in the refrigerator for 10-24 hours. 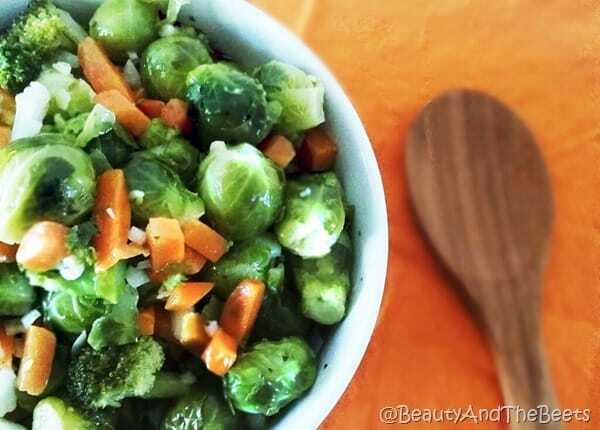 I love brussels sprouts even though they get a bad rap! Looks great! Thank you Nancy! Thanks for stopping by. 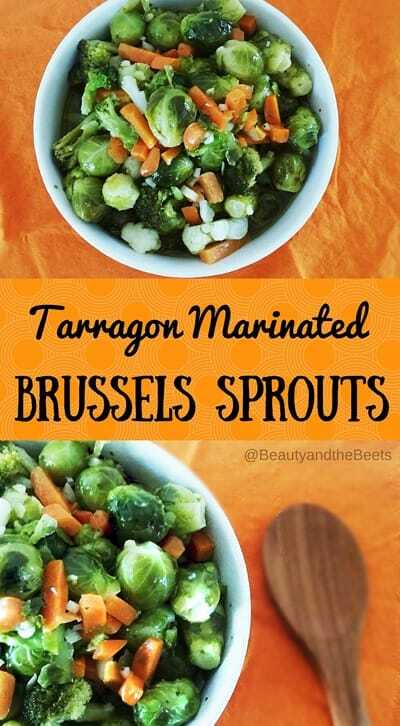 What a great way to prepare Brussels sprouts. Looks really tasty! 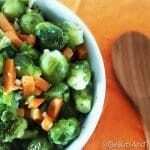 Brussels sprouts is one of my favorites too and I can’t wait to try them prepared this way.